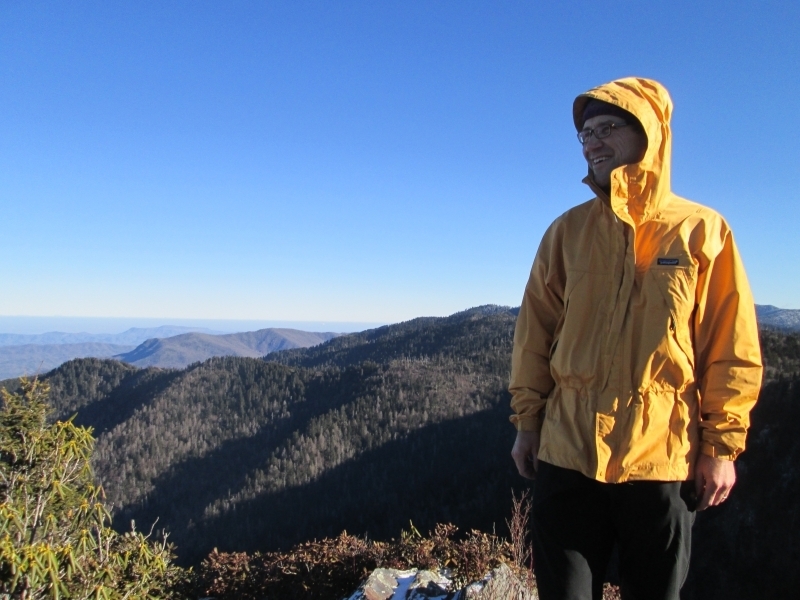 We have a long tradition of backpacking the Smokies in the winter, but Brunn and I sit out the tough stuff this year and hike less than half of the ~35 mile route. While the rest of the crew gets pounded by rain – I fly home from Vegas and Brunn hits the Allman Brothers Tribute show at the Fox in Midtown Atlanta (a worthy choice). Needless to say, we get a late start on the trip. 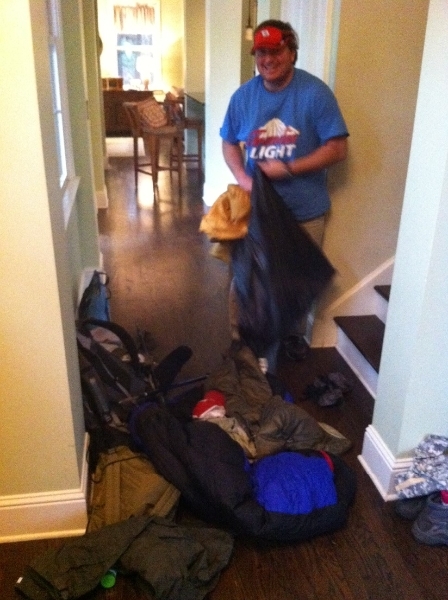 Here's Brunn packing at noon on Saturday after the show. 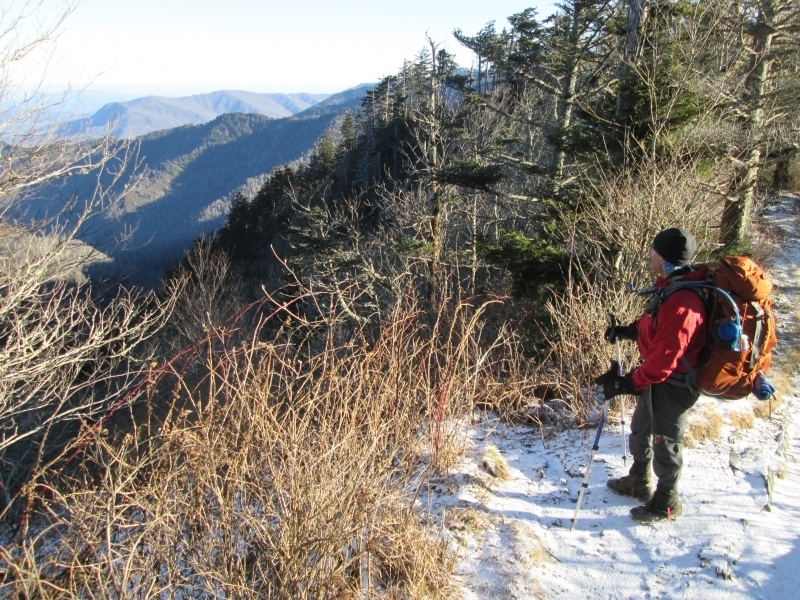 But everything comes with a price and we leave Newfound Gap at 4:45pm. 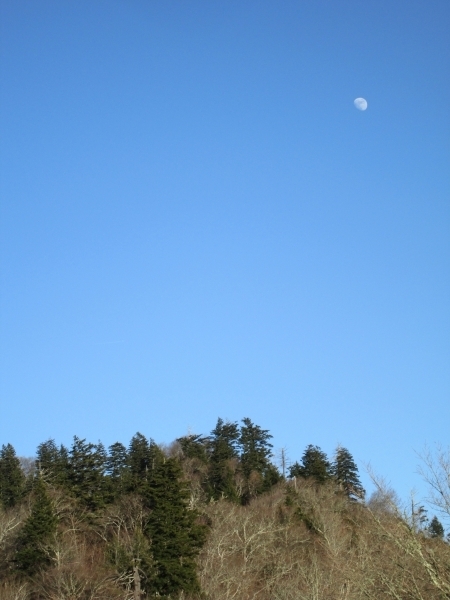 The moon rises above the Appalachian Trail as we start our hike. 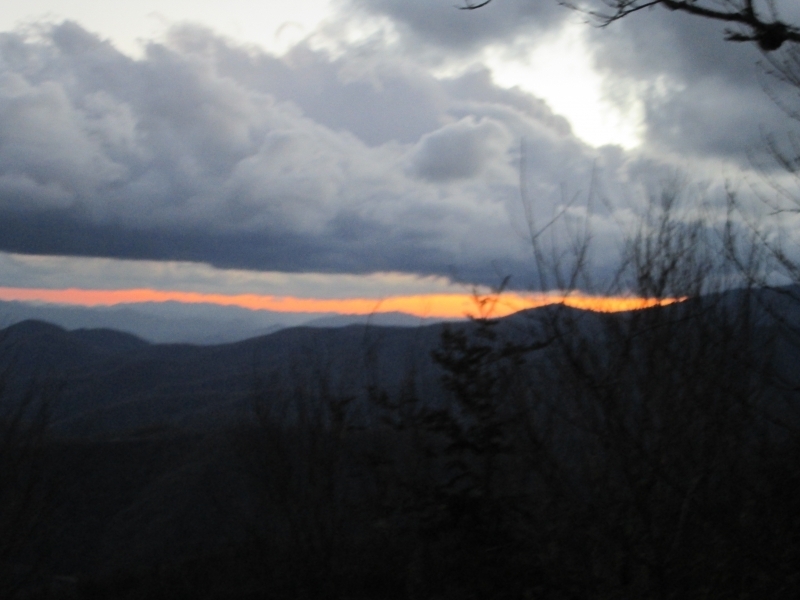 It is 3 miles to Ice Water Spring Shelter, and the sun sets as we hike our first mile on the Appalachian Trail. 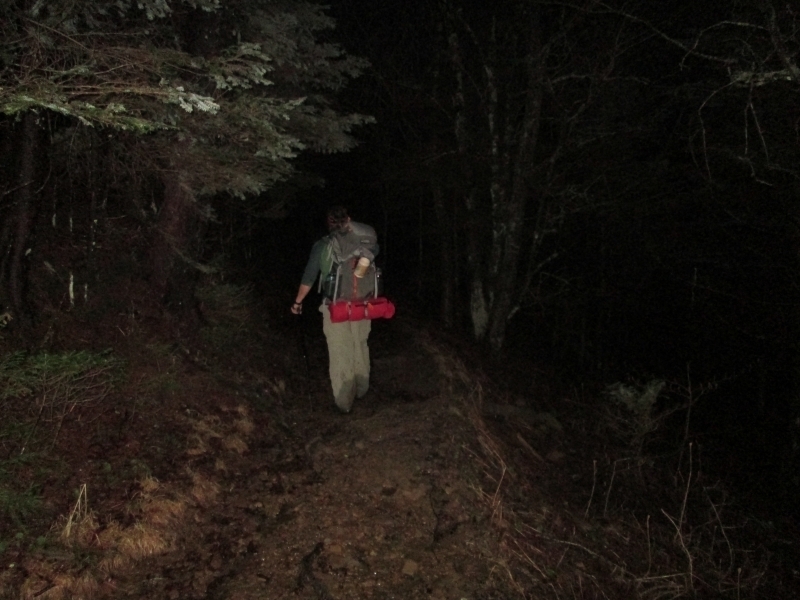 If you think we might hike in the dark, you guessed right! But it is really cool and very peaceful with a bright moon high in the sky. 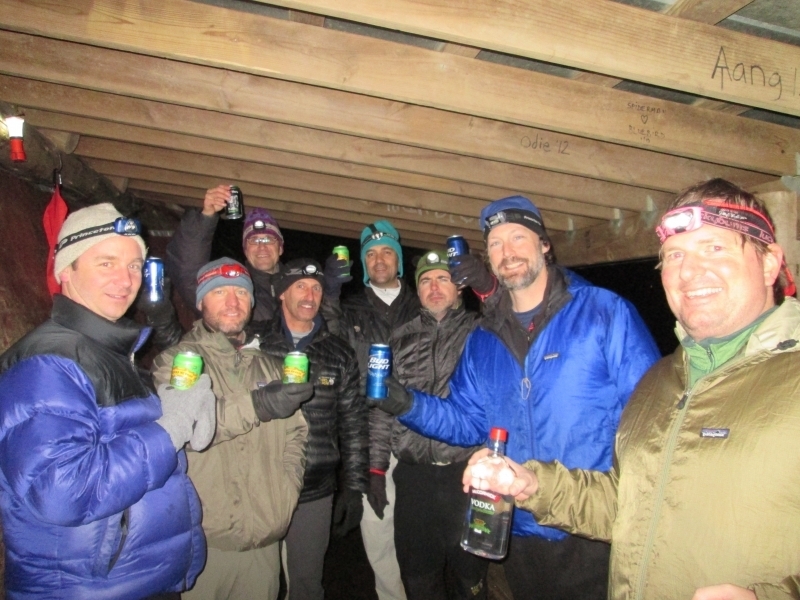 And the Boyz are very happy that we pack in some refreshments. They hiked in some really crappy weather the last two days. 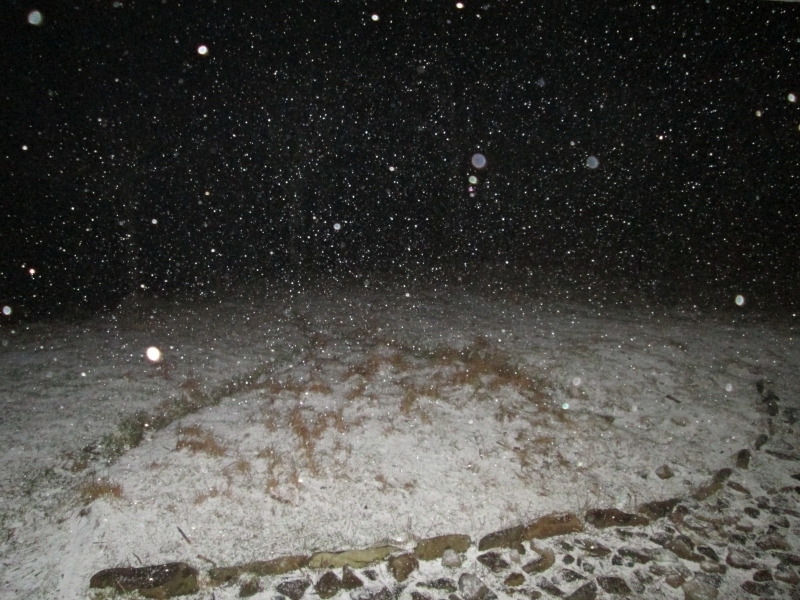 And as the cold front pushes in … the snow comes down. Not much but enough to cover the ground. We have temps in the teens overnight but an incredible sunrise in the morning. 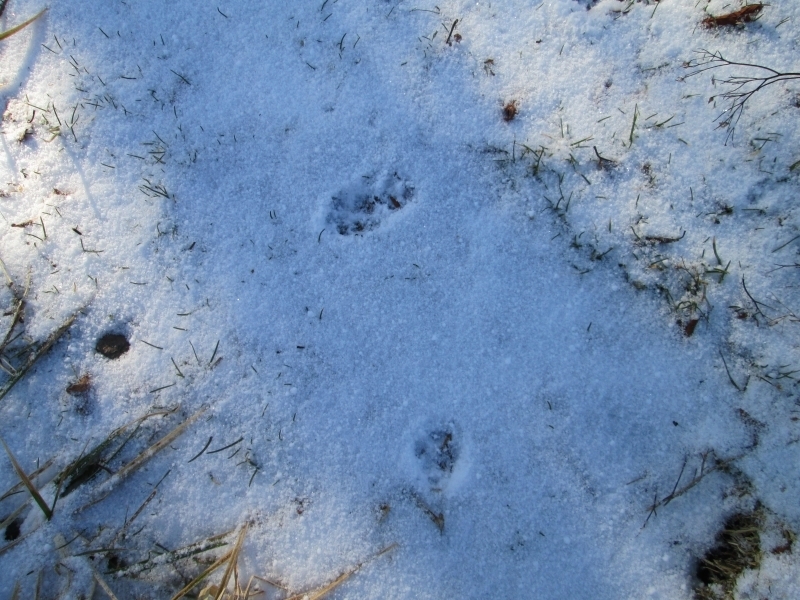 There are even bobcat tracks around the shelter when we wake at 7:30am. 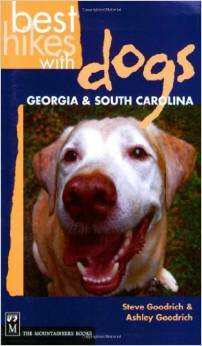 At least we think they are…unless a rogue house cat is on the loose. And hike a little known trail up a drainage with a 360 degree look at the park. And a view of Mt. 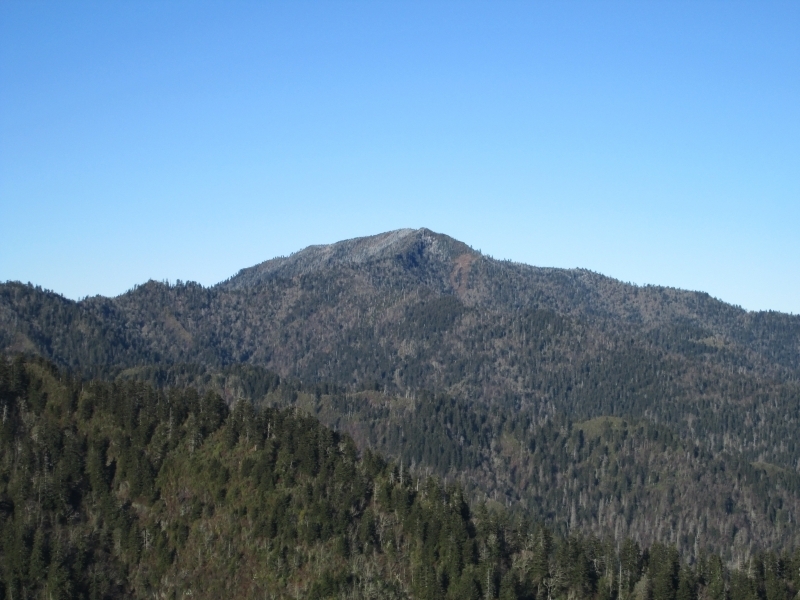 LeConte in the distance. It must be damn cold up there this morning! But it warms up a lot as we dropped off the 5920' ridge, and the streams are running fast from the run-off the last few days. And after a sum of 11.5 miles we are back at Smokemont. 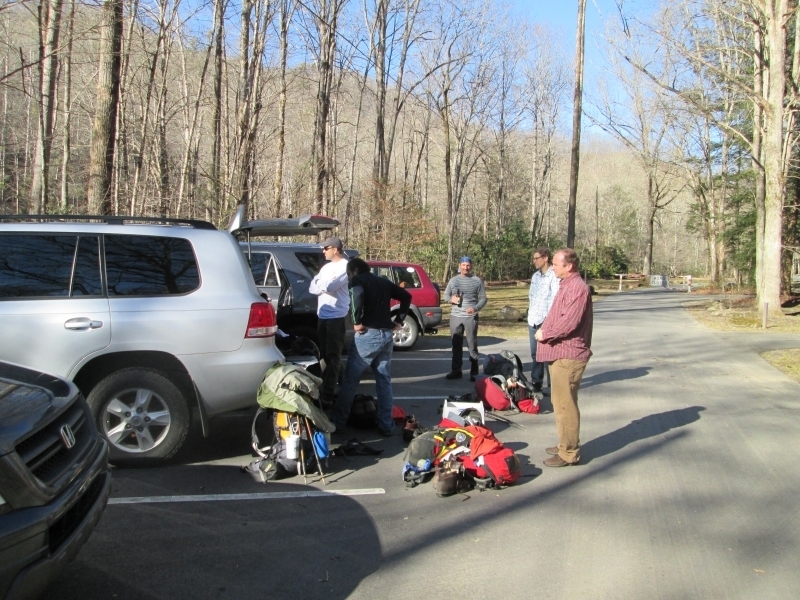 Another great trip in the Smokies and we are blessed with great weather today. Sometimes the Trail Gods do smile on you. 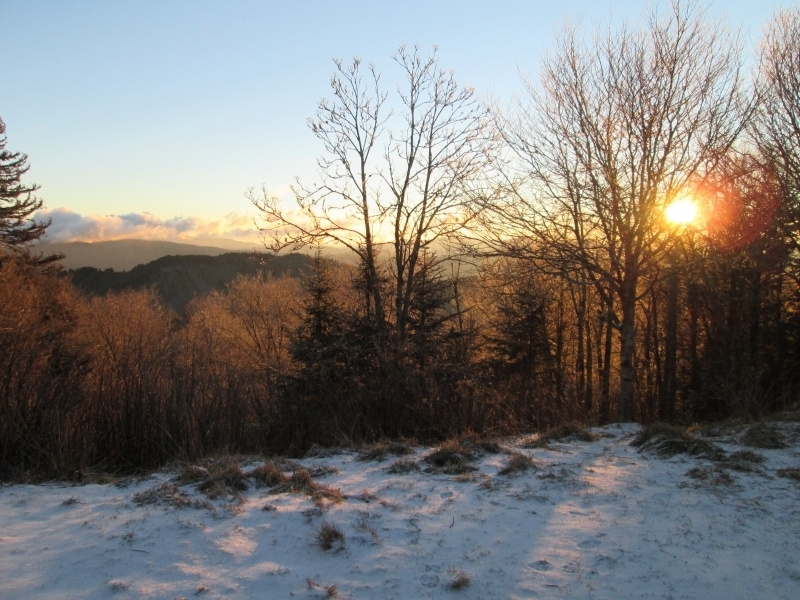 This entry was posted in appalachian trail, videos, winter hiking on January 14, 2014 by BirdShooter. 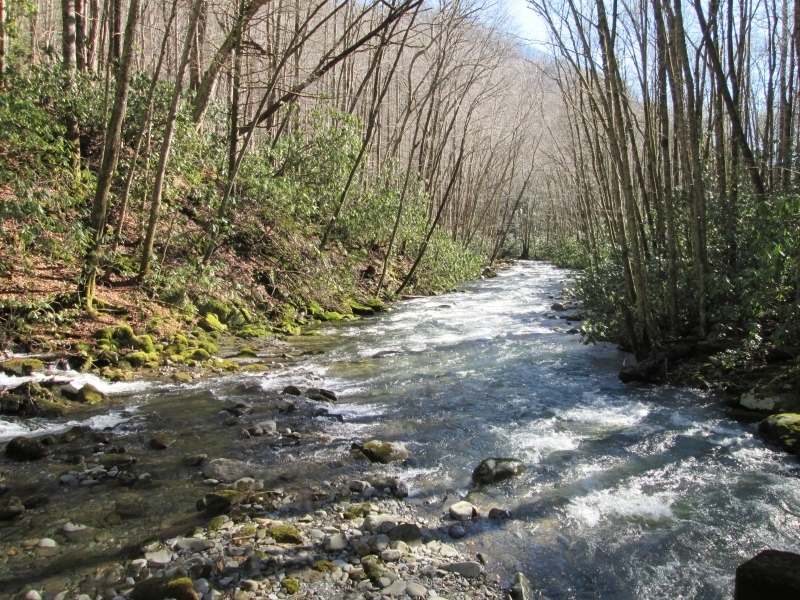 The bridge on the Tumbling Waters Nature Trail was closed, but here's a look at it with Tails Creek running below and in to Carter's Lake. And a shot of the videographer as well. This entry was posted in hiking with kids, hiking with your kids, videos, winter hiking, with kids on January 6, 2014 by BirdShooter.